Jacob Collier has been a rare and precocious talent from his early youth. Aged only 21, the multi-instrumentalist can also lay claim to being a highly skilled singer, arranger and composer. Well versed from Classical to everything contemporary, his music incorporates Jazz, Gospel, Soul, Trip-Hop, Brazilian music and folk. He announces dates ab Bristol Trinity Centre, Manchester Gorilla and Londo EartH during February 2019. Here at Gigantic, we are very excited to be able to offer your Jacob Collier tickets. But with demand always growing, you will need to act fast and books yours before they all go. Booking your essential gig tickets is made easy as you can place an order through our site 24/7 whilst at home or on the move using your tablet, smartphone or computer. Collier attracted attention following the upload of his performance of Stevie Wonder’s Don’t You Worry ‘Bout A Thing went viral. Received by an ecstatic international audience, it continues to be shared after amassing millions of views and earning him ever greater numbers of fans and followers. Now Collier is poised for even greater things having just released his debut album In My Room. Growing up in a musical family, Collier was immediately immersed into a rich tapestry of culture with a grand legacy. His mother being a highly respected teacher at the Royal Academy of Music in London with her father being a violinist of note who taught there also. However, music was not his sole interest whilst growing up. Collier has shown promise as an actor and appeared in film playing Tiny Tim in Arthur Allan Seidleman’s interpretation of the Dickins classic A Christmas Carol. Also whilst young, Collier threw himself into Classical music and developed his vocal talents as a treble singer performing roles in Mozart’s The Magic Flute and Benjamin Britten’s The Turn Of The Screw which would greatly inform his later work. In 2008 he received ABRSM Gold Medal for the highest mark in the country for his Grade 8 singing. As Collier grew his interests grew towards jazz for which he is most greatly associated with. Such is his abilities, that in 2016 he won Digital Initiative Of The Year at the Jazz FM Awards. 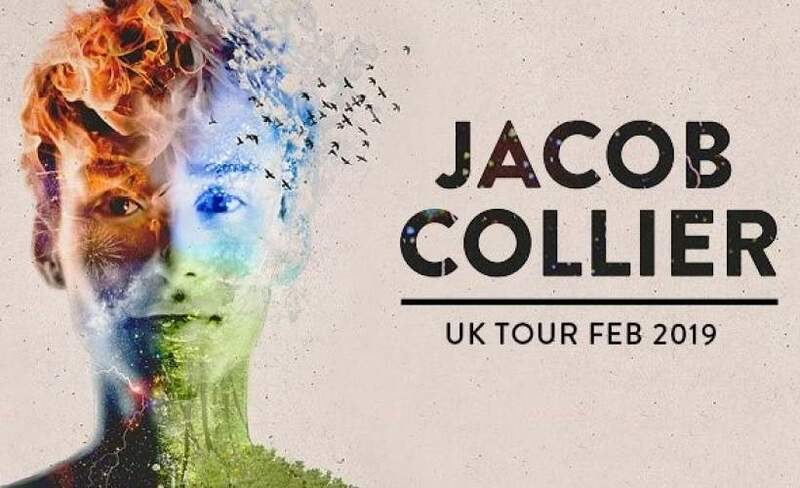 Excitement is building, so with only limited supplies of Jacob Collier concert tickets on offer we really do urge you not to hang around and make your booking as soon as possible. Gigantic is famed for offering excellent customer service on a wide range of essential gig tickets meaning we are the right place to come whenever you are booking for your big night out.